Well, Thanksgiving is over and I hope yours was wonderful. Are you one that loves to head out at midnight to start your holiday shopping, join the madness of Black Friday, or get cozy on the sofa and cyber shop? I am not a Black Friday or Thanksgiving weekend shopper. Many of you may disagree with me, but it bothers me that these stores open on Thanksgiving taking their employees from friends and family on what should be a fun holiday to enjoy with those you love. This year I thought it would be fun to start a new tradition with you. 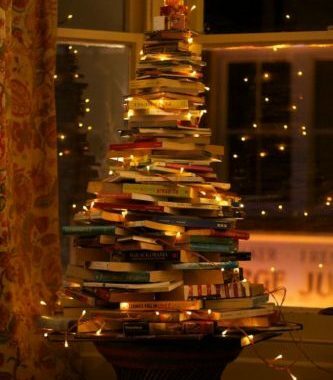 I am going to list my top 10 favorite bookie related gift ideas for the book lover in your life. Maybe you need a gift exchange gift for your book club, or just a little something for a friend who loves to read. All of the ideas can be ordered online, so grab a cup of tea, stay in your pj’s and shop to your hearts content. 1. Book Lover’s Page a Day Calendar, this little calendar can sit on your desk, change the page each day and find Great Authors, Great Reading and Great Book recommendations. 2. Love Between the Lines. Adult coloring books are all the rage these days. This adult coloring book is for the book lover in your life with 45 hand drawn illustrations from different romance novels. I love the Prisma Color Pencils for my coloring books, they work well and even have a blending pencil to shade your works of art. 3. Book Lover’s Soy Candles, Bookstore. I love candles and there is nothing better than one that smells like you are holding a book in your hand. There are different book scents, so explore for your favorite. 4. Tea Books and Rain mug, 3 favorite things. If you have a coffee lover in your circle, you are in luck, Coffee Books and Rain mug. Both can be found on Etsy. 5. Novel Teas, the box has 25 tea bags and each is tagged with a literary quote. 6. Book Shaped Dishes, I love these dishes and tea and coffee cups. They are so fun as the platters and plates are shaped like an open book, really unique. The website is dedicated to reader’s, so feel free to just explore and find your own favorite gift. 8. Book Lover’s Memory Challenge game. Fun for all, especially book club events. 9. Book Reading Journal. Keep track of your books read and any favorite quotes from the books read. 10. Ravensburger Bizarre Bookshop Jigsaw Puzzle, who doesn’t love a fun jigsaw during the winter? Well, there are my top ten, I really hope you find these ideas helpful and maybe items you haven’t thought of. Just click the link and it will take you to the item on either Amazon, Etsy or Gone Reading. You are most welcome Janet. Merry Christmas!